VPN.AC is a Romania based VPN service provider, with leading edge features and great performance to ensure military grade privacy and anonymous surfing. VPN.ac is one of the best secure VPN service providers in industry which was founded with a view to making it easier for VPN users to surf the Internet anonymously with top notch encrypted privacy, security and freedom. As an online privacy & security service, vpn.ac is complementary to the secure storage devices that they supply. Encryption/data security is something they are very familiar with, as a result of being a local supplier of some of most secure commercial encrypted storage devices, which are compliant with requirements for governmental and military use (FIPS 140-2 Level 3, Common Criteria EAL, NATO InfoSec, etc.). They are also experienced in ISO 27001 consulting, and they have already helped several companies active in the IT, software engineering, telecommunications, and defense industries to satisfy ISO/IEC 27001 requirements. Each individual member of their team has over 14 years of experience in IT security, providing security audit and penetration testing services for both public and private customers, banks and military institutions.Their experience in pen-testing and security audit services is mainly what gives them an edge in keeping their infrastructure secure, because it is often the infrastructure implementation which is the weakest link of a VPN service. VPN.ac is operated by Netsec Interactive Solutions, an IT security company. Their commitment to the quality and security of their services is evidenced by the fact that this company is certified to ISO/IEC 27001:2005 and ISO 9001:2008 standards by URS (United Registrar of Systems), an independent global, certification body, based in the UK and accredited by UKAS (United Kingdom Accreditation Service). VPN.ac provides an excellent VPN service for a reasonable price. They value satisfied customers, not “more” customers, and don’t oversell bandwidth. In this VPN.ac review I’ll introduce you first with the pricing plan of this provider so that you can choose one plan that best suits your desire of using VPN service. VPN.ac VPN provides a 1-week trial account for only $2. I think 1 week is sufficient to test a VPN service provider’s performance. Note that a trial account allows 3 simultaneous connections compared to 6, with a regular account. For a competent VPN, VPN ac offers a reasonably good number of choice in its server locations. They have self managed 77 servers in 21 countries worldwide. Since running VPN gateways on VPS/cloud instances is a security risk, VPN.ac uses entirely dedicated servers on their VPN nodes, mostly consisting of powerful E3 and E5 Xeons with hardware AES crypto acceleration. Although running VPN nodes on dedicated hardware can be as 10x or even 20x times more expensive than running on virtual servers, yet they choose dedicated servers where security is done properly and the bandwidth capacity is enough to ensure a fast and reliable service. With unlimited speeds and unlimited server switches, you can connect from anywhere in the world. And they’re incredibly reliable, with average uptime of 99.9%. So there’s no need to worry about your VPN not being available. They’re committed to be solid as a rock. Premium users of VPN ac are allowed to access 77 servers across 21 countries. Current VPN ac locations available with the Secure Proxy extension include USA (8 servers on West Coast optimized for Asian traffic and 4 on East Coast optimized for European traffic, 1 in Central US), Japan (6 servers optimized for Asian traffic), Hong Kong (3 servers), South Korea, Singapore (2 servers), India, Australia, Canada (Vancouver and Montreal), UK (3 servers), Ireland, Germany (2 servers), Austria, France, Hungary, Netherlands (2 servers), Finland, Norway, Czech Republic, Russia, Switzerland, Sweden, Italy, Bulgaria, Ukraine, Lithuania, Poland, Mexico, Denmark, Belgium, Spain, Portugal, Romania and South Africa. You can interface up to three gadgets to the administration on the double. VPN.ac does not oversell bandwidth, nor engages in volume-selling, and more VPN servers are regularly added to ensure against overuse of their locations; at any given time, available bandwidth speed greatly exceeds their users’ needs – usually at least 10-fold. They allow 2TBs (2000 GBs) monthly bandwidth transfer which is sufficient for any person… More traffic is available on request, as a paid package upgrade or free, depending on how much extra-traffic you need (let us know). Unlike many other VPN providers, VPN.ac doesn’t limit you to enjoy speed or server switching. You are also most welcome to be connected to any VPN server, anytime, without restrictions or download caps. Easily switch between server locations is widely available at no additional charge. Most of it’s VPN servers are connected to 1000 Mb/s (gigabit) channels, with many speed and reliability tests being done before their deployment in our infrastructure. No bandwidth speed throttle is set on VPN Nodes per connection/user basis and VPN connection has high possibility to match your ISP speed. But speed may vary depending upon various factors like server distance, protocol etc. VPN.ac fully supports bittorrent and P2P on selected servers. They assure they will never censor P2P or Torrenting on any of their servers. It is stated in their FAQ that –Q: ‘Do you allow P2P / torrent traffic? Ans:- Yes, we don’t block such protocols.’. But you should not use this facility in transferring or downloading illegal files, audios and videos. As far as bolstered gadgets, VPN.ac is good with an extensive variety of stages. VPN.ac is perfect with Windows, Mac OS X and Android. Soon to be available for iOS and Linux. It merits specifying that it provides fantastic support for portable. Their service is also compatible with most devices and 3rd party connection software. It is noteworthy that the compatibility features of VPN.ac is very good and their apps run smoothly and comfortably with various gadgets and platforms. These might be portable workstations, cell phones like Androids or iPhones, Apple TV or iPod Touch and tablets. The same thing applies to OS devices – iOS , Mac OS X, Windows (8, 7, XP, Vista) and Linux . Every single vital direction about the setting up you can discover in FAQ area, on the blog or request help utilizing every single conceivable channel of client support. In this VPN.ac review, our main focus is to depict the security and privacy level of VPN.ac client software. Let’s know something about it in detail. OpenVPN-256 bit: OpenVPN is the best performing protocol with faster speeds, even on connection with high latency and across great distance, most reliable and stable protocol, even behind wireless routers, on non-reliable networks, or on wifi hotspots. It is the recommended protocol for desktops including Windows, Mac OS X and Linux. Highest performance – fast, secure and reliable. OpenVPN is considered to be one of the safest and reliable encryption protocols. OpenVPN lends itself if you want to use strong encryption, and possibly want to cascade multiple VPN servers, or want to direct your traffic through an additional proxy. OpenVPN supports up to AES-256 encryption for Mac, Windows, iOS, Linux and Android. It has no known weaknesses. OpenVPN authenticates data on both ends through digital certificates, or through certificates with a username and password pair. It is proven to be reliable on all kinds of connections, such as WLAN, wired and mobile. It’s incredibly easy to set up, and is a good choice for desktop users. As soon as the OpenVPN connection is established all Internet traffic is routed through the VPN automatically, regardless of the client software being used. Their configuration files can be used with the OpenVPN client software. VPN,ac supports OpenVPN: 256-bit AES-CBC, 128-bit AES-CBC or 128-bit BF-CBC. For AES (both 128 and 256 bit) they use RSA-4096 and Elliptic Curve (ECDHE) with secp256k1, SHA512 HMAC. All OpenVPN certificates are generated “the right way”: offline, secure machine, multiple – high quality sources of entropy. They are one of the very few in the industry providing full Elliptic Curve support. OpenVPN ECC: VPN-ac has introduced support for OpenVPN ECC (Elliptic Curve Cryptography) along with TLS 1.2. Elliptic Curve is one of the most powerful types of cryptography today; it is future-proofing and is arguably significantly more secure than RSA. However, its level of security depends on the curves being used: some being more secure than others. In their implementation they decided to use the secp256k1 elliptic curve, that is not part of the NIST standard. The design of NIST curves raised many questions and consensus is that they are likely back-doored by the NSA. The curve secp256k1 is used within the Bitcoin protocol and that serves as a good reason to trust it over the curves supported by NIST and NSA. ECC is being used during the OpenVPN tunnel authentication and key exchange, which is the most important part of VPN communication. For data-channel encryption they use AES 128-bit, to benefit from the modern Intel CPUs providing hardware acceleration for AES encryption. ECC is also supported on Android devices (with the app OpenVPN for Android) and 128-bit AES is using less processing power, resulting in better battery-life than using AES-256. ECDHE (Elliptic Curve Diffie–Hellman with Forward Secrecy) is now being used instead of regular DHE. OpenVPN (XOR): Obfuscating the OpenVPN protocol makes it look like regular SSL traffic or an unknown encrypted protocol, making it harder to be detected & blocked by Firewalls with DPI capabilities relying on protocol signatures to identify known VPN protocols. This is the case in China, where default OpenVPN implementations are blocked almost immediately. While their AES 256-bit implementation is still stealthy and working in China, they added one more protocol-type to bypass the GFW. It runs on several ports including TCP port 443 (HTTPS), replacing an instance of OpenVPN Blowfish 128-bit they used with port TCP/443. With this method, the handshake packets are obfuscated so it’s not possible to identify the traffic as being part of an OpenVPN tunnel. Encryption relies on RSA 4096-bit + ECDHE for key-exchange, AES 128-bit for data channel. If you are in China, we recommend to use this OpenVPN (XOR). L2TP/Ipsec: L2TP/IPsec is a protocol built into most desktop, phone, and tablet devices. It is a good choice if OpenVPN™ isn’t supported by your device and security is top priority. L2TP/IPsec supports up to AES-128 combined with Microsoft Point-to-Point encryption. Due to the leverage of both, it is noted as highly secure if it is with 256-bit encryption. It is dependable and reliable, if your NAT device supports IPsec pass-through properly. It usually needs some custom configuration to set up. L2TP/IPsec is more secure than PPTP, but is not as fast, therefore it’s a good choice for those that value security over speed. The IPSec protocol, standardized by the IETF, represents another encryption alternative. Almost all modern operating systems support IPSec on its own, so usually no additional client software has to be installed. PPTP: PPTP is a slightly faster due to 128-bit encryption, easy-to-use protocol with a simple setup process. But it provides the basic security. It is a good choice if OpenVPN™ isn’t supported by your device and utmost security is not your top priority. PPTP is available for Mac, Windows, Linux, iOS, Android, DD-WRT, and others — but does not supports AES encryption. Instead, PPTP uses Microsoft Point-to-Point Encryption, which has severe security weaknesses. This weaker encryption method makes it a fast performer. Problems may arise when some home routers or ISP do not allow Generic-Routing-Encapsulation (GRE) tunneling. Overall it’s easy to set up, widely supported and is a great choice to bypass geo-restrictions. VPN.ac supports PPTP 128-bit MPPE. I am very delighted to report that ‘DNS leaks’ were never detected during my tests at different DNS-Leak-Tracing websites. I show below here, for example, 3 images from my tests got at hidester.com/dns-leak-test , ipleak.net and www.perfect-privacy.com/dns-leaktest/ You can see the images show the common result of ‘No DNS Leak’, as you only see Singapore and Japan related DNS information managed by VPN.ac; not the DNSs assigned to my local ISP. We are very delighted to say that VPN.ac has added an IPv6 Leak Protection option that disables IPv6 traffic while on the VPN. 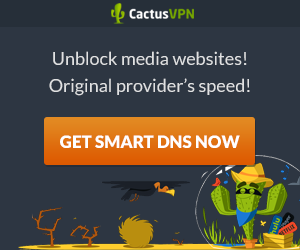 This ensures that no IPv6 traffic leaks out over your normal internet connection when you are connected to this secure VPN. Kill-switch is an innovative feature to ensure data privacy and security of all users by disabling all internet activities when the VPN disconnects. To ensure complete protection, VPN.ac added this ‘Kill Switch’ feature in their VPN software that disconnects all your internet activities if the VPN connection drops. It means when kill-switch is enabled and the connection interrupts, the client software automatically blocks all outgoing network connections so that your real IP is protected from being visible. This is an optional feature so you can switch it on if you feel the need. VPN is here to provide security and anonymity to users. But, this tool only manages to protect the user’s privacy until it is connected. In most disconnection cases, users do not even realize that their VPN connections have stopped working. Cyber criminals and surveillance agencies stay on the lookout for these few unprotected moments to get into a system and compromise its security. Luckily, this will not be the case anymore with VPN.ac users, because they have introduced this Kill Switch feature in their VPN client. According to my practical experience, their Kill-Switch technology works perfectly; very impressive. Reports from some users have brought to light a Internet security hole first in VPN industry that might reveal your local IP address to websites/webBrowsers through ‘WebRTC’. The ‘RTC’ in WebRTC stands for Real-Time-Communication, and the API directory is used for voice calls, video chats, and p2p file sharing. This WebRTC was originally developed to aid certain types of connections between browsers without the need for an additional plugin. But today’s most remarkable worrying subject in VPN industry has been WebRTC that could be used to discover your local IP address provided by your local ISP, even under the presence of a VPN connection. So, does VPN.ac client software have the capability to protect your local IP address from being leaked through WebRTC? VPN.ac offers OpenVPN (XOR) protocol that concerns about Obfuscating the OpenVPN protocol makes it look like regular SSL traffic or an unknown encrypted protocol, making it harder to be detected & blocked by Firewalls with DPI capabilities relying on protocol signatures to identify known VPN protocols. This is the case in China, Iran etc where default OpenVPN implementations are blocked almost immediately. While VPN,ac’s AES 256-bit implementation is still stealthy and working in China, they added one more protocol-type to bypass the GFW. It runs on several ports including TCP port 443 (HTTPS), replacing an instance of OpenVPN Blowfish 128-bit they used with port TCP/443. With this method, the handshake packets are obfuscated so it’s not possible to identify the traffic as being part of an OpenVPN tunnel. This Encryption basically relies on RSA 4096-bit + ECDHE for key-exchange, AES 128-bit for data channel. If you are in China, we recommend to use this ‘OpenVPN (XOR)’ while surfing. Apart from this you can enable the following option ‘I am in China or other censored country‘ as shown in the image below so you can see the alternative server list with the prefix China users and use for surfing with privacy. You don’t have to connect the software again and again if the connection drops. Just Enable their ‘Auto Connect VPN’ option. When your Internet connection is interrupted, their vpn app is intelligent enough to stop and reconnect once your internet connection resumes. This feature guarantees extra privacy and security for their users. The app will automatically launch every time you login to your device if you enable the ‘Launch VPN on System Start’ option. You can switch it on or off according to your need. Nothing is stored on VPN servers, not even common Linux daemon logs like entropy daemons, ntpd, OpenSSH etc. We are using our own, private DNS resolvers for DNS queries coming from VPN users. (Feature not fully implemented on all servers yet, full roll-out by the end of January, 2014). All DNS queries coming from customers are sent to our private DNS resolvers through encrypted tunnels. DNS resolvers do not log anything and are mixing customer queries with millions of random queries we are generating. We don’t log or monitor any of our customers’ traffic. We keep connection logs for 1 day to help us troubleshoot some problems our customers might encounter. These logs include source IPs and timestamps (connection start/end time). We keep bandwidth usage statistics, both for servers (total daily/monthly usage) and for customers. Connection logs are transferred in real-time from VPN servers to a secure, full-disk encrypted server in an undisclosed location. No connection logs are stored on VPN servers. If a refund is due, they will notify you by e-mail. The refund process may take up to 15 days (usually less than a day) after cancellation of your account to receive your refund depending on payment form used. If you have not received your refund after 15 days, you are requested to contact them. They do not refund orders from users that are suspended for breaching their policies. They do not refund orders for vague reasons like “it doesn’t work” without providing them details and letting them help. For example, if the customer doesn’t use the correct VPN account credentials, first they need to make sure that the credentials are correct. Issuing a 2nd refund is subject to their own discretion. Essentially, if you sign-up with them more than once and ask for more than a single refund, the 2nd (potentially others) refund request may be denied. Bitcoin refunds are made in Bitcoin, not the USD/EUR/GBP/other currency equivalent. For example, if you paid 0.05 BTC and you ask for a refund after a few days, you will receive 0.05 BTC back. The obvious reason for doing so is to protect both you and them from BTC’s massive volatility, as well as discouraging speculative signups & refund requests. Not all payment instruments can be refunded! If you pay using a payment method that can’t be refunded. They will only be able to refund using PayPal, Bitcoin. VPN ac offers email support and FAQ & tutorials to solve customer’s problem. Their support team is available to help you 24x7x365. Contact them anytime. They do not externalize support. There, you’ll actually talk directly to those who designed and implemented the entire VPN service from A to Z. No ticket escalations and no operators copy/pasting predefined – yet frustrating – answers to your problems. I personally contacted them and they responded with professional reply. They seem very professional and talented. I hope that they’ll also add live chat support for their customers. They also assist users remotely using a desktop sharing/control software like Teamviewer as a last resort. According to me, VPN.ac is one of the best offshore secure VPN service providers in industry and highly recommended for those users who want to ensure military grade Internet privacy of their identity and other important information, while surfing online, by hiding local IPs and geo-location from unrighteous inspection of any third party like hacker etc , to bypass any country’s Internet Censorship & Content Surveillance, as well as to access any Geo-Blocked Website, or to view or download any legal file or video with reasonably good speed and uptime. In this perspective, VPN.ac is one of the best secure VPN service providers in industry. I also recommend it for unblocking censorship of USA, China, UK, Australia etc.